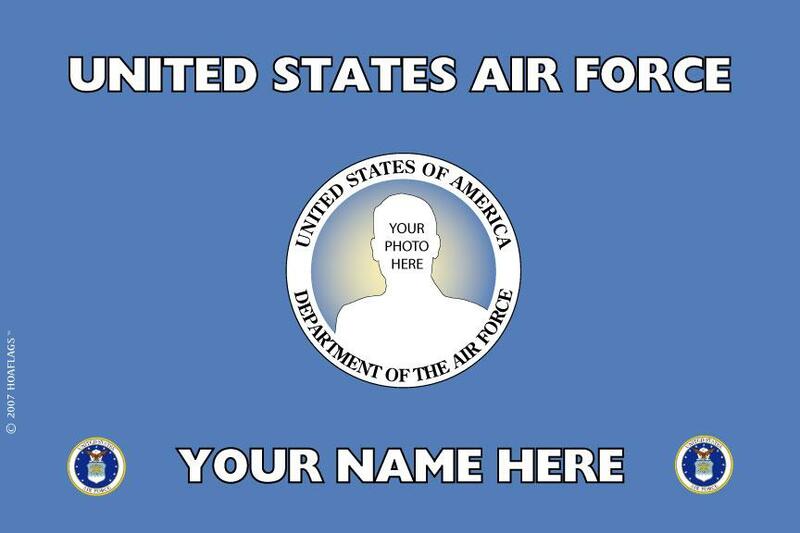 Proudly display this personalized photo flag in honor of those who have served or are currently serving in the United States Air Force. This Flag is handmade with 2-ply polyester material and fade resistant and water resistant inks. A photo of your choice as well as personalized text that you provide will be added to this flag when you place your order.